In the aftermath of a second anti-Semitic attack this week in southern Sweden, the spokesman for a local watchdog group said the Jewish community must be vigilant but will not go underground. Willy Silberstein, spokesman for the Swedish Committee Against Anti-Semitism, spoke to JTA on Monday hours after two burning objects were thrown at a chapel located at a Jewish cemetery in Malmo, The Times of Israel reported. Police in Sweden’s third largest city said they discovered traces of a flammable fluid near the cemetery that they suspect had been targeted by arsonists. 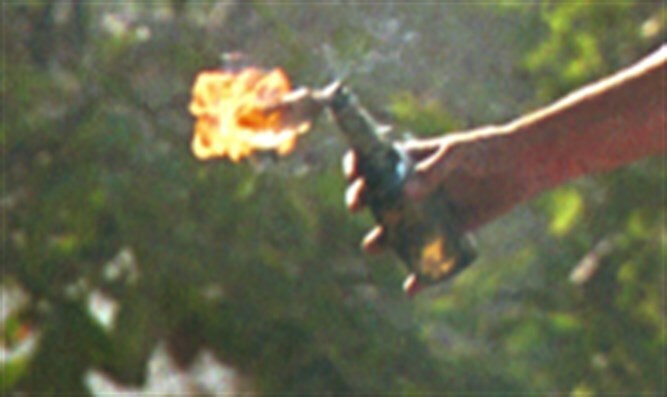 One local report said Molotov cocktails had been thrown at the site. “There is a wave of anti-Semitic attacks right now, and I suspect this won’t be the last incident,” Silberstein said. A spokesman for the Swedish police said there were no suspects in custody in connection with the incident. On Saturday night, several men hurled firebombs at a synagogue in the nearby city of Gothenburg hours after hundreds marched through the city in protest of the U.S. recognition of Jerusalem as Israel’s capital on Wednesday in a White House announcement by President Donald Trump. Three arrests were made. Notwithstanding the incidents, the capital of Stockholm will have a public lighting of a Hanukkah menorah in a central square on Wednesday, Silberstein said. “People are advised to be vigilant but normal life continues, even under increased police protection, which we received this week,” he said of the centers of the Jewish community of Stockholm, where some 18,000 Jews live. Swedish police reportedly have tightened security near Jewish sites throughout the country in the wake of the two attacks. But Silberberg rejected the claim, saying authorities have done much to protect Swedish Jews from attacks, whose perpetrators are often Arab or Muslim. The Amsterdam attack ended with the arrest of a 29-year-old Palestinian waving his national flag who smashed the eatery’s windows, broke in while staff was inside and took out a flag of Israel that was hanging in the restaurant. Two police officers who watched his actions with passers-by arrested him as he exited the restaurant. Ronny Naftaniel, a board member of the CEJI organization for education against hatred and a former director of the Dutch CIDI watchdog on anti-Semitism, criticized the Dutch judiciary for a draft indictment of the man, who admitted the actions attributed to him, because it did not contain a reference to his actions as a hate crime. He is to be charged with vandalism and theft, according to the Dutch media.